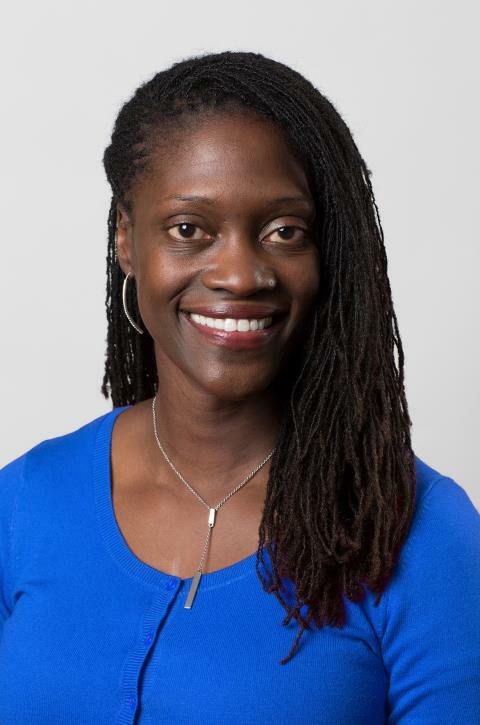 Valerie Kinloch began her tenure as the Renée and Richard Goldman Dean of the University of Pittsburgh School of Education July 1 after spending nine years in the College of Education and Human Ecology at The Ohio State University. Since arriving in Pittsburgh, Kinloch has dedicated herself to strengthening the school's commitments to urban education, diversity and inclusion, and community engagement, while also enhancing school culture and broadening alumni participation. A highly-respected educator, Kinloch’s areas of research focus on the literacy, language, culture, and community engagement of youth and adults, both inside and outside of schools. While at Ohio State, she was a professor of literacy studies and the associate dean of diversity, inclusion, and community. She also served as the college’s chief diversity officer and Associate Dean of the Office of Diversity, Inclusion and Community Engagement from 2014 to 2016. Kinloch’s academic endeavors have received support from the U.S. Department of Education, National Council of Teachers of English, Corporation for National and Community Service, and Spencer Foundation, among other notable organizations. She also is the author of numerous books on race and literacy, including the critically acclaimed Harlem on Our Minds: Place, Race, and the Literacies of Urban Youth (Teachers College Press, 2010). A faculty member at Ohio State from 2007-17, Kinloch currently led efforts toward building sustainable models of diversity, equity, inclusion, and engagement for the College of Education and Human Ecology. She previously served as the associate department chair for the college’s Department of Teaching and Learning. In that position, she co-managed a department consisting of approximately 60 faculty members and a large number of staff members across the Columbus and regional campuses. She helped to strengthen program curricula, enhance an urban education programmatic focus, and evaluate the roles and responsibilities of staff. Kinloch also served as the college’s chief diversity officer and director of the Office of Diversity and Inclusion from 2014 to 2016. In that role, she helped to address increasing the enrollment of underrepresented students and creating an engaging academic climate for all. Kinloch has also taught at Columbia University’s Teachers College and the University of Houston-Downtown. In 2016, Kinloch was awarded Ohio State’s James M. Siddens Award for Distinguished Faculty Advising/Mentoring as well as a Leadership Program Fellowship from the Big Ten Academic Alliance. She was honored with the Rewey Belle Inglis Award for Outstanding Women in English Education from the National Council of Teachers of English as well as the Who’s Who in Black Columbus Award from the City of Columbus in 2015. Kinloch’s other recent honors include the 2015 University Distinguished Diversity Enhancement Award from OSU, the 2014 Service-Learning Research Excellence Award from the University of Georgia, and the 2012 Outstanding Book of the Year Award from the American Educational Research Association.